The Cordova Bay Association for Community Affairs (CBA) raises funds for Cordova Bay community groups and endeavours through its annual Cordova Bay Day, and through its membership. Past beneficiaries have included Claremont School, Cordova Bay 55 Plus Association, Haliburton Community Organic Farm Society, Cordova Bay Preschool and Cordova Bay Soccer Club. 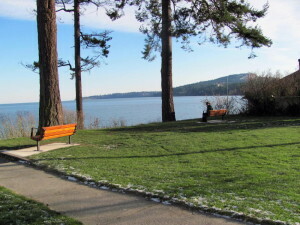 As well, jointly with Saanich, the CBA has provided a park sign and redwood benches at the bus stops on Cordova Bay Road at Maxine Lane, Sunnygrove Terrace and Galey Way and in McMinn Park/Lochside Regional Trail, Lochside Park and the newly named McMorran Park beside the former McMorran’s Beach House. If you wish to apply for a grant towards a worthy Cordova Bay-based project, please complete the CBA Grant Application form. 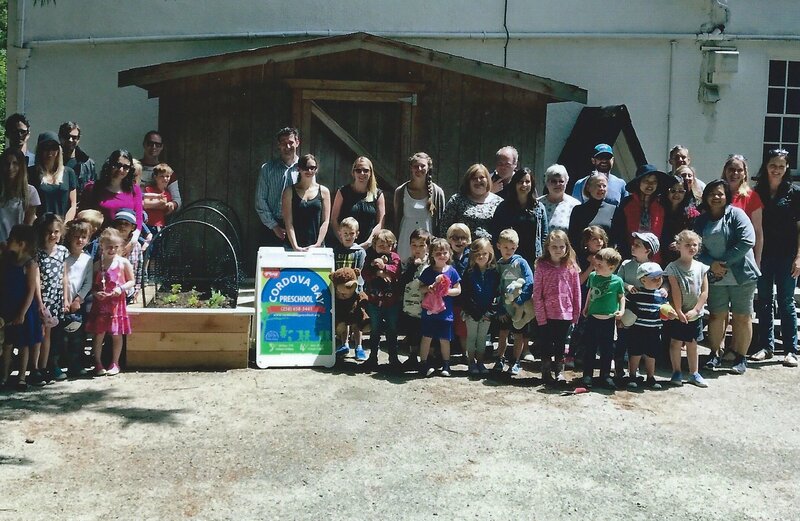 At the CBA board meeting on May 10th, 2017 Treasurer Melissa Joyce and Co-Presidents Trish Mitchell-Jackson and Marissa Cameron presented a request for the Cordova Bay Preschool for their gardening boxes and gardening supplies. The board approved the grant of $1,500. 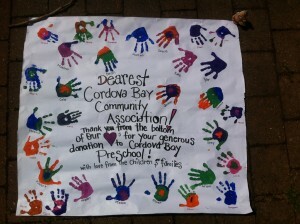 After installing the gardening boxes and rain barrel the Preschool provided us with these lovely pictures. Two presentations for grant applications were made to the CBA’s board of directors at the February 12, 2014 board meeting. Rajan Reddy and Vasuhi Collins presented on behalf of the Cordova Bay Soccer Club (Saanich Fusion). The soccer club was looking for help with the purchase and installation of two covered players’ benches on Frank’s Field at Lochside Park in Cordova Bay. The presenters pointed out that over 600 Cordova Bay residents, both young and old, are members of their soccer club and currently use Frank’s Field. The addition of a covered players’ bench will benefit all of these Cordova Bay residents by providing shelter from the elements as well as a safe and comfortable place to rest in between game play and practice. The club has been fundraising for the required $10,000 investment and had raised $7,000, requesting $3,000 from the CBA. The club also pointed out that Saanich Fusion (umbrella organization under which their Cordova Bay-focused fundraising operates) had offered to make up a shortfall of up to $1,000. 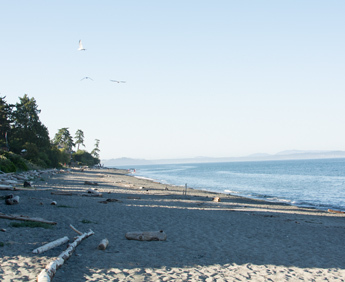 Upon review of the grant application from the soccer club, and based upon the benefit to over 600 Cordova Bay residents, the CBA board of directors approved a grant of $2,000. 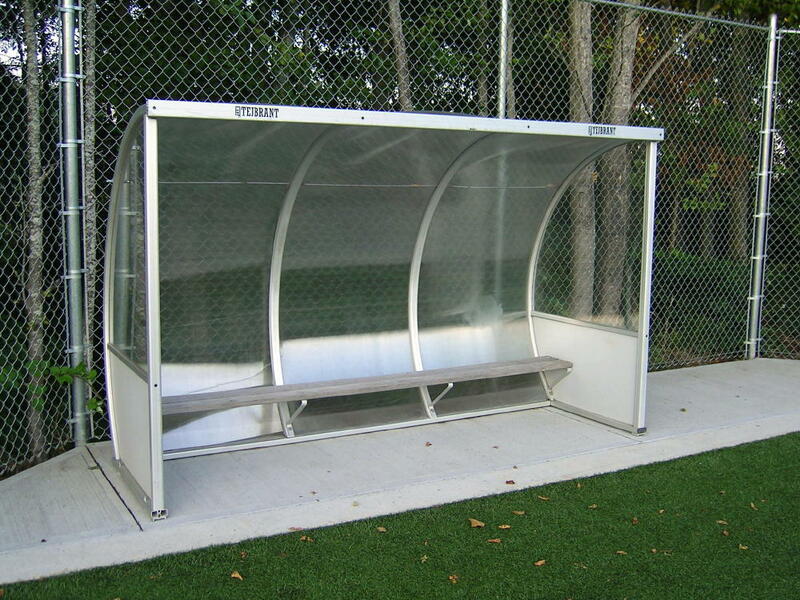 The soccer club was able to acquire the $1,000 grant from Saanich Fusion for the purchase and installation of new covered player benches at Frank’s Field. In appreciation of the grant from the CBA, the soccer club has placed a plaque at Frank’s Field to express thanks and recognition to the CBA for the grant to allow this upgrade to happen. Jill Shaw presented on behalf of the Cordova Bay Pre-School Co-Op. 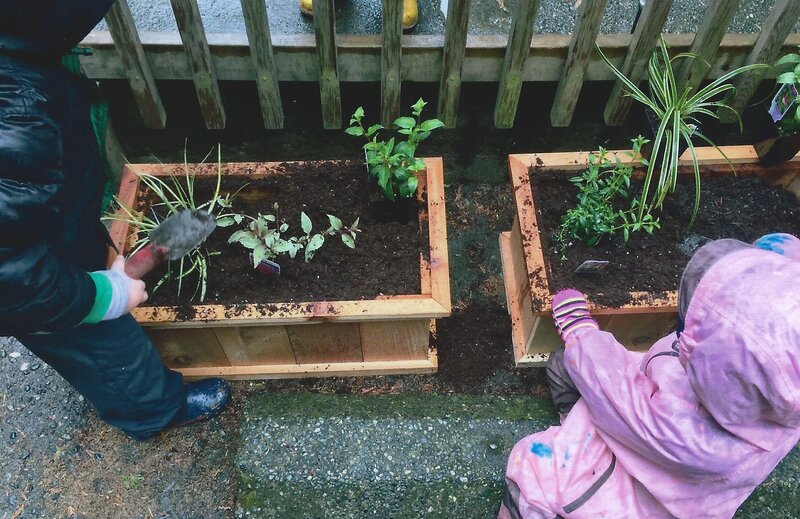 The pre-school, which hosts approximately 35 children from Cordova Bay, and each year sees new faces attend from Cordova Bay, is looking for help with a number of projects. It has a few fundraising programs in place and, in addition to the funds raised, the school requested a grant of up to $2,500. 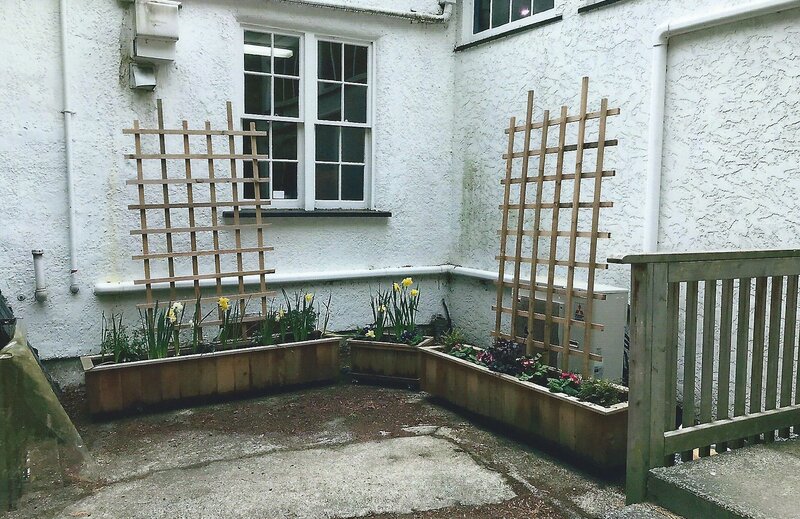 The CBA board heard plans to significantly upgrade several outdoor fixtures including a fence around the property, a nature playground and a new sandbox. 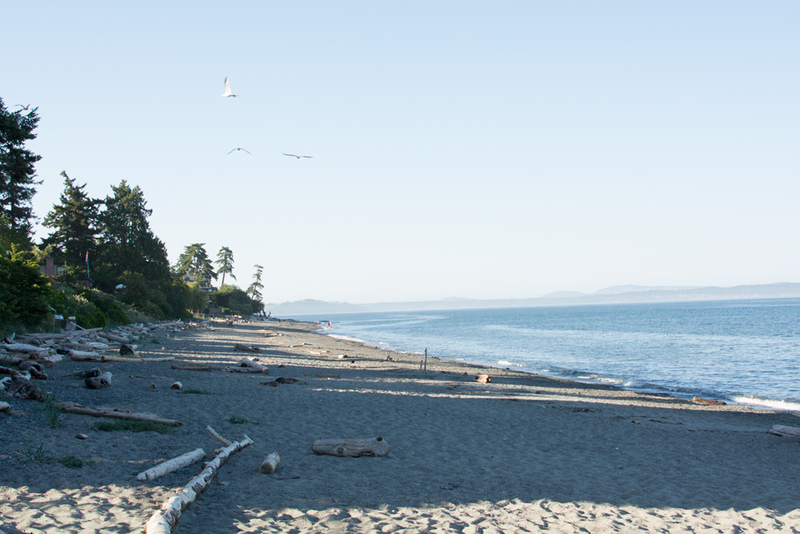 Based on the benefit provided to Cordova Bay families, the board agreed to provide a $2,000 grant that would be allocated towards either a nature playground or a new sandbox. In appreciation of this grant, the pre-school will be displaying a plaque acknowledging the CBA’s support at the play ground. CBA director, Lori Strandlund with Colin Plant, drama teacher at Claremont Secondary School and some of his students. As reported in the winter 2012 Cordovan, profit from the 2011 and 2012 Cordova Bay Day gave the CBA the opportunity to donate $2,500 to the Ridge Playhouse. “The Claremont students will directly benefit from the use of this very high-tech camcorder,” said Lori. Claremont’s Fine Arts program/student government program can use this camera to film theatre performances for the internet and its archives and for school and community events. If you have a suggestion for a recipient of the CBA’s Community Fund, please contact one of the board. 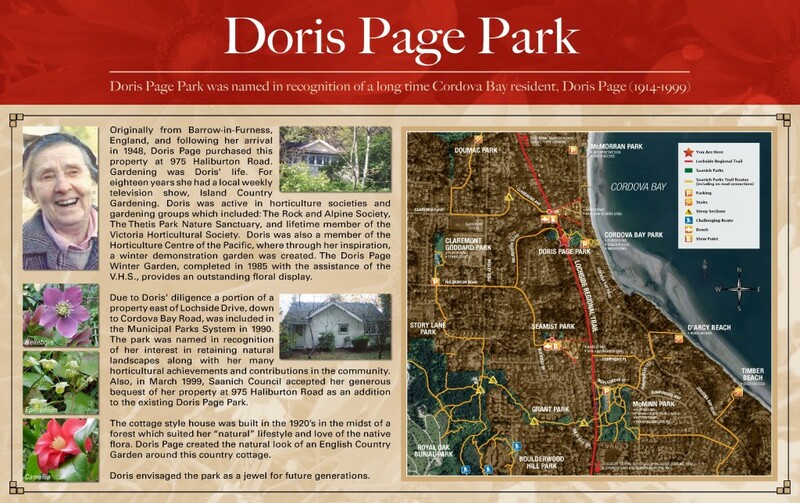 You may remember when Doris Page lived at the corner of Haliburton and Lochside Drive and tended the English country garden surrounding her cottage. Miss Page left her land and her garden to the municipality to be used as a natural green space after her death and it has provided a pocket oasis and a natural corridor to the seashore below. In 2011, jointly with Saanich, the CBA donated an interpretive sign to replace the one vandalised a few years ago. 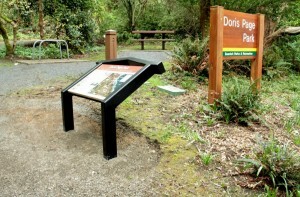 It’s installed in Doris Page Park on the west side of Lochside Drive. It’s easy to see so if you’re driving, biking or walking by stop and read the interesting history of this area. Generous memberships from Cordova Bay residents have given us the opportunity to make $1,000 donations to two very special and worthy non-profit organizations in Cordova Bay. Haliburton Community Organic Farm has built a shed for the volunteer farmers to store tools and seeds; and benches are to be placed along the farm’s new wood-chip trail. Here it is, along with a lovely plaque thanking the CBA. 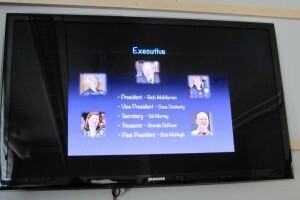 The Cordova Bay 55 Plus Association has put the $1,000 towards a large flat-screen TV for the main meeting room at the Centre. This facilitates the showing of special-event TV shows that are more fun to watch as a group, and can act as a second screen for meetings when presenting in power-point. Just before Thanksgiving Day weekend 2010, Saanich Parks installed, for public enjoyment, two cedar benches in its new park close to the former McMorran’s Beach House/Charters Restaurant – with glorious views overlooking Cordova Bay. One bench was contributed by the McMorran family and honours pioneers George and Ida McMorran. 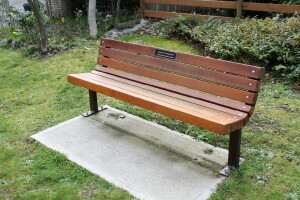 The other was initiated by the Cordova Bay Association for Community Affairs (CBA) and the $2,558 installed cost of the bench and its concrete pad was split equally with Saanich. 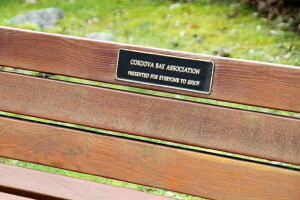 It’s the sixth community bench in Cordova Bay sponsored by the CBA and Saanich. The others are on Cordova Bay Road at the Maxine Lane, Sunnygrove Terrace and Galey Way bus stops, McMinn Park/Lochside Regional Trail and Lochside Park – paid for from net proceeds of the silent auction at the CBA’s annual Cordova Bay Day. 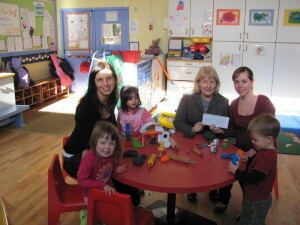 Some of the profit from the 2010 Cordova Bay Day has given the CBA the opportunity to donate $1,000 to Cordova Bay Co-operative Preschool, a non-profit group that operates behind St. David by the Sea Anglican Church at the corner of Cordova Bay Road and Sutcliffe Road. 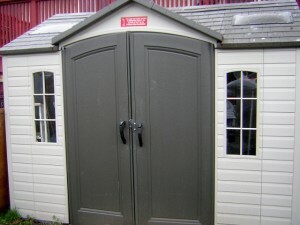 The donation will be used towards repairing the preschool’s shed, sandbox and purchase of window coverings. “We will be honouring the CBA with a plaque to show our appreciation for your generosity and look forward to working together in the future,” pre-school vice-president Katie Hennessy told the CBA’s Penny Joppe who presented the cheque for $1,000. Ready for use is a new bench with a canopy to keep the waiting players dry next to Frank’s Field at Lochside Park, courtesy of a $1,000 donation from the Cordova Bay Association for Community Affairs (CBA) to Cordova Bay Soccer Club. 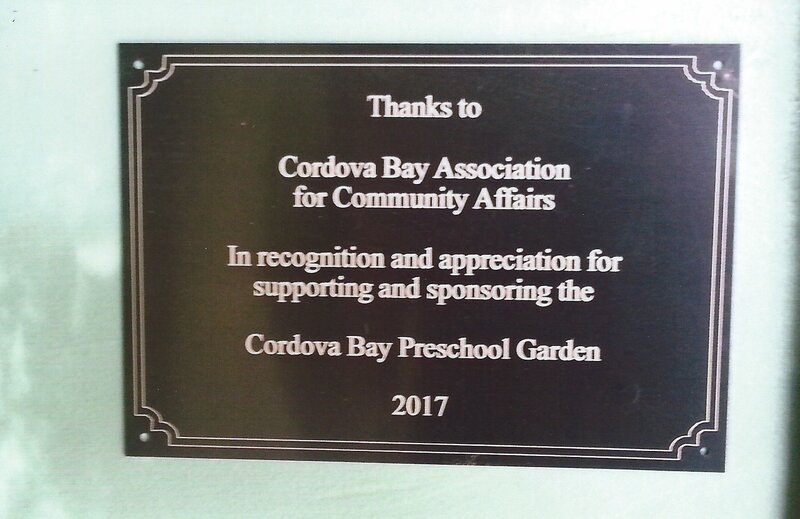 The donation came from the CBA’s Community Fund which is earmarked for community groups or endeavours within Cordova Bay. The money is raised at the silent auction at the CBA’s annual Cordova Bay Day. Frank’s Field is named after the late Frank Leversedge, soccer stalwart and activist, who was also a founding director of the CBA in 1976. 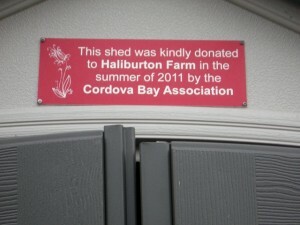 CBA’s contribution is acknowledged with this sign generously designed and provided by the Cordova Bay Soccer Club. 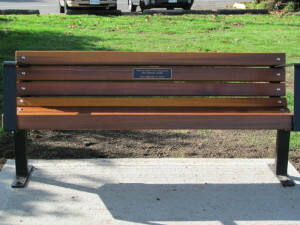 Redwood bench donated by the CBA as a matching grant with Saanich. This one is at a bus stop south of Galey Way on Cordova Bay Rd. A SPLENDID new “Cordova Bay” sign welcomes residents and visitors at the main southern entrance to our community on Cordova Bay Road at the traffic lights (Cordova Bay Road/Royal Oak Drive/Blenkinsop Road intersection). The granite sign was made at Mortimer’s Monumental Works and is set in a concrete frame. 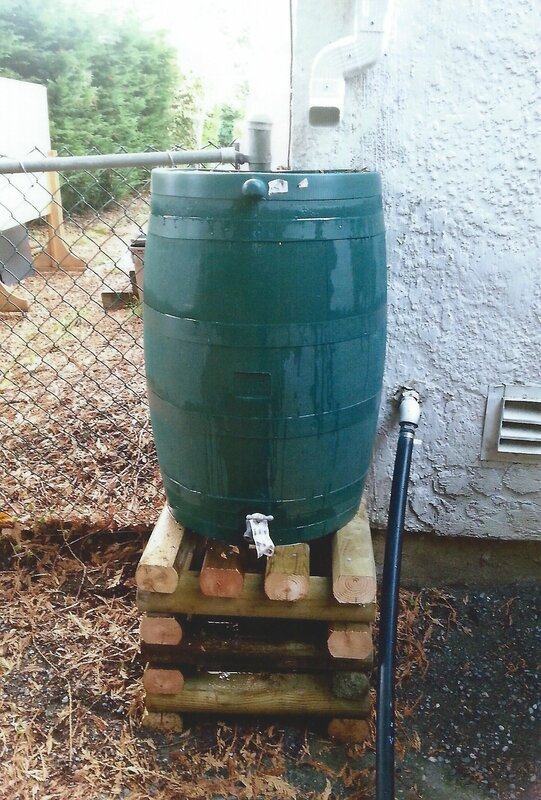 It is a community gift from Ernie Yakimovich, neighbouring resident and developer of the 17-house Oceanwood Estates. 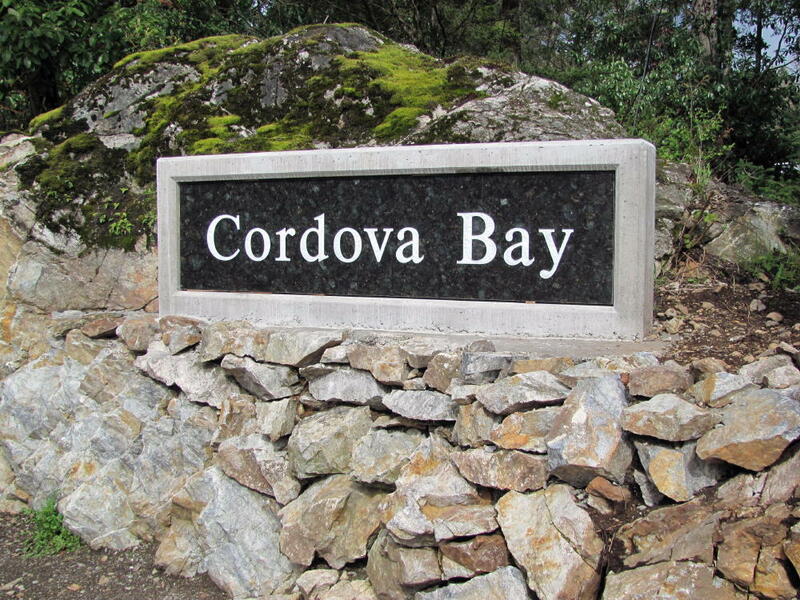 The CBA came up with the “Cordova Bay” sign idea several years ago and Ernie agreed to have it made and installed. The CBA thanks him for his community generosity.